* By law we can only ship replica guns to California or Kansas if they are part of a boxed or framed display. 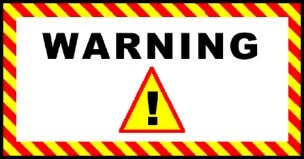 To comply with this law, we add a rifle display frame board sold at our cost, plus extra shipping for the weight of the board. HISTORY: The 'Kentucky Rifle' didn't get its name from being made in Kentucky. It was primarily made in Pennsylvania, with Maryland and Virginia gunsmiths contributing a fair share. It became the 'Kentucky rifle' after the Battle of New Orleans was largely won by two thousand of them in the hands of sharpshooting frontiersmen from Kentucky. One of the first to feature a "rifled" bore, it was extremely accurate for its time, and played an integral part in the first U.S. westward expansion of the late 18th and early 19th Century. performers, too! If you are in California or Kansas, please see below before ordering. Most often associated with Daniel Boone and Davy Crockett, the Kentucky rifle is uniquely American. 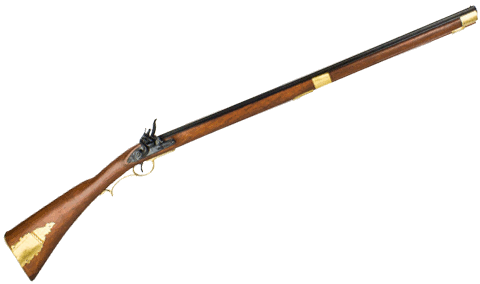 This non-firing replica is a shorter version of the Kentucky Long Rifle, and similar to the prototype rifles carried on the Lewis and Clark expedition. This classic American firearm is a great addition to your collection--add a powder horn and hang it on the wall for a striking display! This shorter model is 43.5 inches long and weighs 4 pounds. Great for re-enactors, rendezvous participants and living history performers, too!